An elegant ecard with 3 red roses with water droplets, a beautiful transparent butterfly filled with bubbly bubbles to wish your love partner a very happy Good Afternoon. 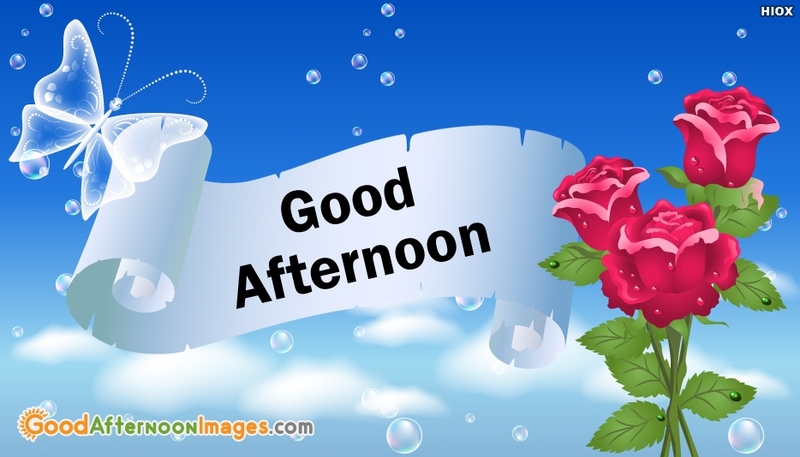 Impress your love partner everyday by sharing our beautiful collection of good afternoon images. Wherever you are just ping him/her with our cool collection of good afternoon pictures to let he/she know that you are always thinking about him/her.